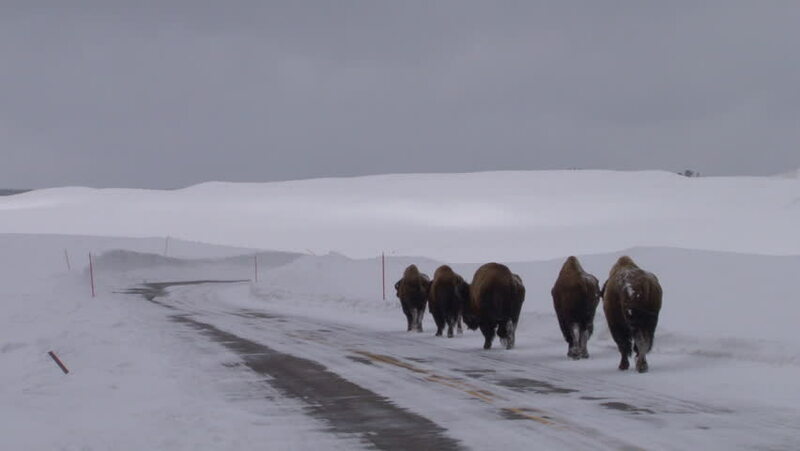 CIRCA 2010s - Bison buffalo graze and walk in Yellowstone National Park in winter. hd00:09PETROPAVLOVSK-KAMCHATSKY CITY, KAMCHATKA PENINSULA, RUSSIAN FEDERATION - FEBRUARY 25, 2017: Traditional Kamchatka Extreme Sled Dog Race Beringia - race -prologue, distance of 10 kilometers. 4k00:22Slow motion of horses running across the Bonneville Salt Flats in Utah, close.